Every summer Kundalini Yogis from around the world gather at Ram Das Puri in the Jemez Mountains near Espanola, New Mexico for a variety of intensive workshops and 3 days of White Tantric Yoga. They call this experience Summer Solstice.It is a transformative immersion opportunity. I have had the Summer Solstice experience twice since I began practicing Kundalini Yoga. Both times I described it afterward as one of the most incredible experiences of my life. A day at Summer Solstice begins at 3:45 with group sadhana (spiritual practice), followed by breakfast. 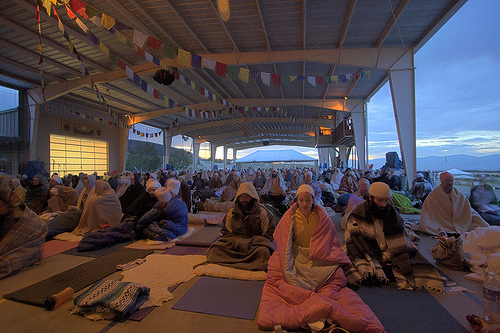 Throughout the day, participants have a variety of yoga workshops to choose from. Meals are included in the registration fee and follow a special cleansing diet prescribed by Yogi Bhajan, the Master of Kundalini Yoga. 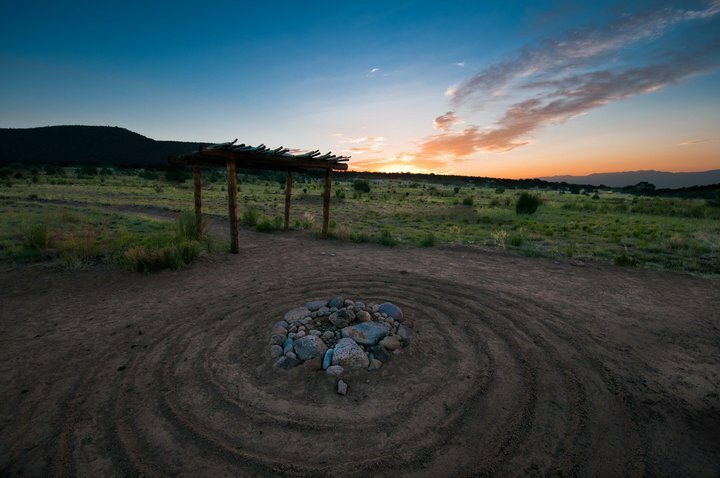 One of the most remarkable features of the Solstice experience is the intentional community. Everyone who attends participates by providing some special service as part of community-building. Being part of a group of up to 2000 like-minded people coming together to pursue a common intention is incredibly powerful. Add to that the sacred history of Ram Das Puri in the Native American tradition, and Summer Solstice is an incredible opportunity to deepen one’s spiritual practice and commitment. I think that many times if we look back and are completely honest with ourselves, the times at which we were learning the most, and having the greatest chance of moving forward, of becoming most fully ourselves, are challenging times. Letting go of who we used to be can be difficult and painful. The degree to which we will experience pain and difficulty in that process depends upon the extent to which we cling to old ideas and beliefs which no longer serve the person we are becoming. The dates for this year’s Summer Solstice are June 14-23, 2012. Service scholarships and financial aid are available. Photos of Summer Solstice courtesy of Amarjot Singh.